NAB2016 Alzo Video shows off an optional motor that can be added to the " target="_blank">Smoothy Radius and Linear Slider. This flexible slider can be used as a straight track or curved slider for a parallax effect. For those using CFL Lighting kits, Alzo is now offering new LED Bulbs that offer longer life, better color, and more durability. 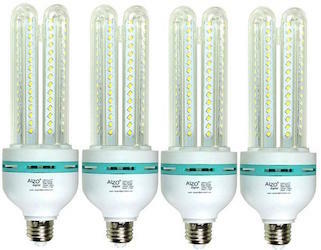 A standard 22W LED Bulb starts at just $20 dollars and 32W LED Bulbs at $34 dollars. For more information about these products, check out the links below. Posted in dslr video. Tags: alzo radius slider, alzo video photo led bulb, linear slider, nab2016 on June 28, 2016 by Cheesycam.